LAKE ELSINORE, Calif. - As winter fades and spring quickly approaches, all eyes turn to Spring Training to see what the San Diego Padres have in store for the upcoming 2019 season. Just weeks away from pitchers and catchers reporting, the Padres have announced additions to their Major League Spring Training roster with 29 Non-Roster Invitees. Out of those 29 talented athletes, 12 have donned the Eyes of the Storm in recent seasons. Those players include pitchers David Bednar (RHP), Cal Quantrill (RHP), Jesse Scholtens (RHP), T.J. Weir (RHP), Eric Yardley (RHP), Logan Allen (RHP), Jerry Keel (LHP), Nick Margevicius (LHP), Kyle McGrath (LHP) as well as position players Josh Naylor (OF), Buddy Reed (OF) and Hudson Potts (INF). In 2018, The Diamond served home to California League All-Stars Buddy Reed and Hudson Potts. Reed, the Bronx, NY native, slashed .324 AVG./12 HR/47 RBI/33 SB in just 79 games while Southlake, TX native Hudson Potts led the team in batting average (.281), doubles (35) and home runs (17) before being called up to the Double-A San Antonio Missions on August 9th. Each of them followed up a fantastic 2017 roster that highlighted then first-baseman Josh Naylor and left-handed starting pitcher Logan Allen. 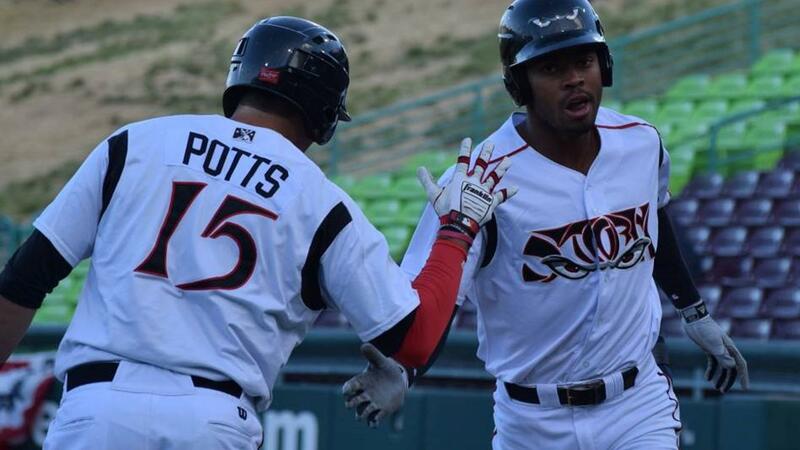 Both top Padres prospects thrived at a higher level of play as Naylor belted 17 home runs and 74 RBI for San Antonio, while Allen combined for a 14-6 record with a 2.54 ERA and 151 strikeouts in 25 games (24 starts) between the Missions and the Triple-A El Paso Chihuahuas. All 12 players will find familiar faces in the clubhouse in Pedro Avila, Chris Paddack, Gerardo Reyes, Austin Allen, Luis Torrens, Ty France and Edward Olivares, who were added to the Friars' 40-Man Roster in November. The San Diego Padres pitchers and catchers are scheduled to report on Wednesday, February 13th with the first full squad workout slated for Monday, February 18th. 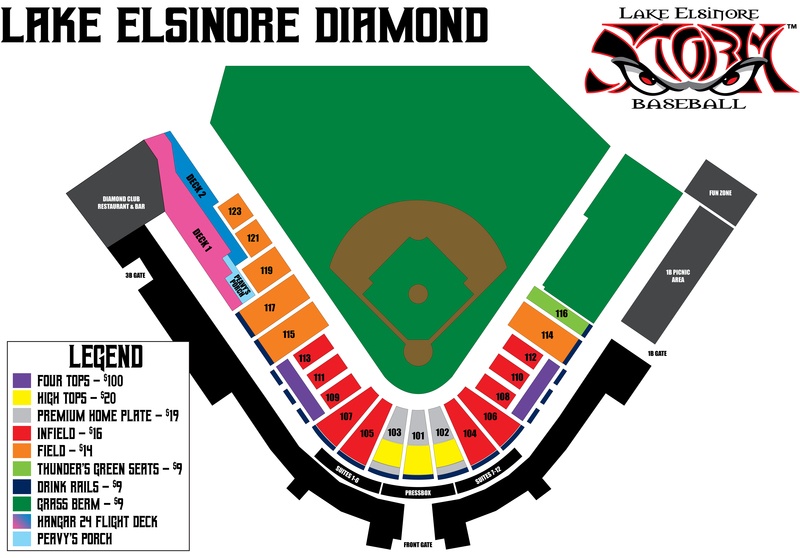 Fans, don't forget that the future of Padres Baseball begins play in Lake Elsinore for the 2019 California League season on Thursday, April 4th on the road against the Inland Empire 66ers, with the home opener just one week later (April 11th) against those same 66ers. You can purchase tickets for all 70 home games either online at stormbaseball.com or give us a call at 951-245-HITS (4487) starting on Monday, March 11th.